These distinctive tall slim towers are found at many of Irelands early monastic sites. They are almost entirely an Irish phenomenon. Thought there are a few in Scotland, specifically at Brechin. You will see them on your tours of Ireland and it is good to understand their purpose. Their designs follow very similar patterns, each reaching between 50ft and 150ft in height. They have a gentle taper towards a stone capped peak. Most feature windows, usually four of them. They face North, South, East, and West. The single door is set high, around 12ft from the ground. Inside there are normally a number of floors linked by ladders and trapdoors. Mostly these towers date from around the 9th Century. They were originally lookout towers, hence the windows at the four points of the compass. They were also bell towers and for storage. During Viking times, the priests and the monastery valuables could retreat to the tower when they came under attack. 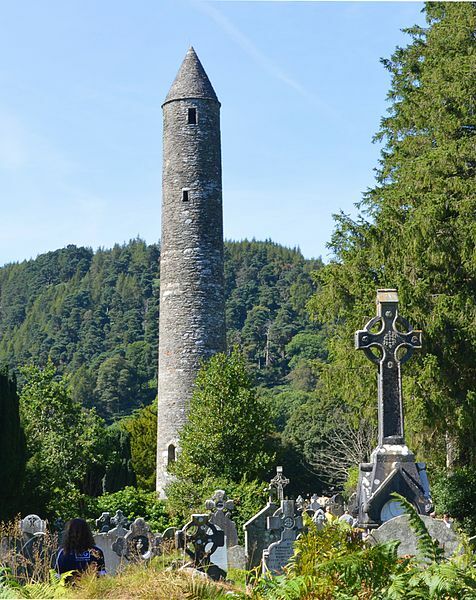 At Ireland and Scotland Luxury Tours you will see a few of these round towers as we take you across the back roads of Ireland.